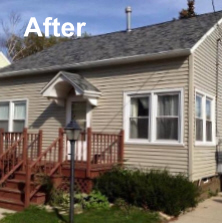 Whether you’re looking for a simple spot repair or a whole new look for your home or business’s exterior, we can offer best-in-class siding and competitive pricing. We travel from Green Bay Wisconsin and through the area from Eau Claire, Stevens Point, Milwaukee and Madison. 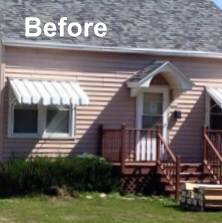 If it is updating or siding repair from storm or hail damage, contact us. At Custom Renovations, we know how overwhelming it can be to take care of insurance inspections, filing and planning when it comes time to repair storm and hail damage. That’s why we offer complimentary insurance inspections to every customer. Get in touch with us to see why homeowners and business owners return to us for every project.